One of the biggest misconceptions of travel is that everything to do in famous cities is very expensive. But with a little exploration, a visitor can find free things to do, cheap eats and low-cost stays, even on a long weekend in Venice. So how do you keep costs to a minimum on a holiday to this glorious Italian city, while still enjoying everything that short breaks to Venice have to offer? 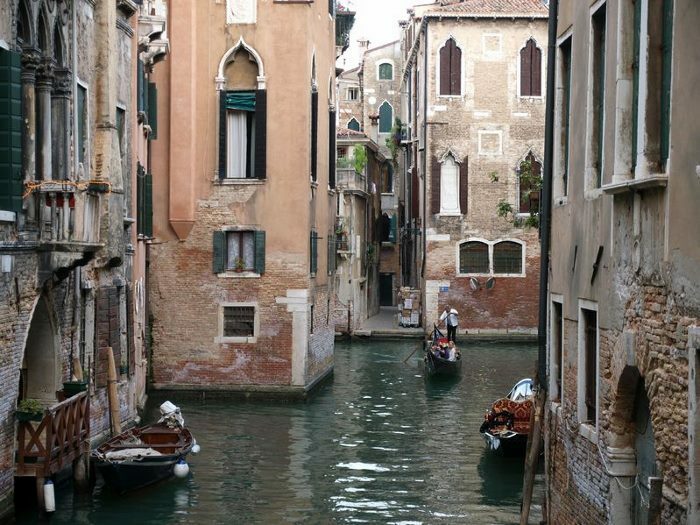 Venice is world famous for the large network of canals that wind their way across the city, and while you have to pay to ride in one of the city’s historic gondolas, walking the canals is a free, and perhaps more interesting, way to wander along them. There are more than 150 canals in Venice, the most famous and largest of which is the city’s main boulevard, the Grand Canal. There are many canals to choose from, including some that are so small that walking past them is perhaps easier than navigating them by boat. If you really had your heart set on a gondola ride but blanch at the expense, consider a short hop on a traghetto. It’s a black gondola that travels back and forth across the Grand Canal in several places. The cost is 2 Euros, while it’s not quite free you can say you’ve been to Venice and ridden a gondola. 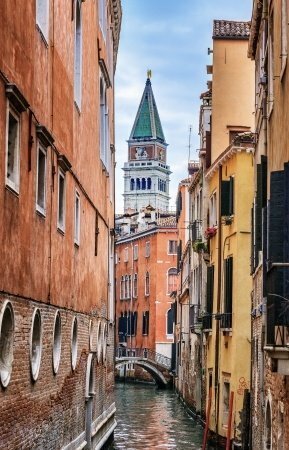 Although the city is known for its canals, there are many more narrow passagways, piazzas and bridges that will introduce you to Venice’s beautiful architecture. Some streets are so narrow that you can reach out and touch buildings on both sides when you stroll down them, in a few your hips will brush up against the walls on both sides. Intrepid explorers should just start strolling, although bringing along a map is not a bad idea. At night a flashlight on the darkened streets is a must. Referred to as “The Drawing Room of Europe,” St Mark’s Square is the heart of Venice, locals and tourists alike gather there to meet, talk and people watch. It’s less crowded in the evening after day-trippers from cruise ships have left, but avoid the cafes if you’re on a tight budget as they are rather expensive. Instead head somewhere quieter for coffee, like a traditional “bacaro,” where you can usually get a cheap meal or drink standing at the bar, Venetian-style. 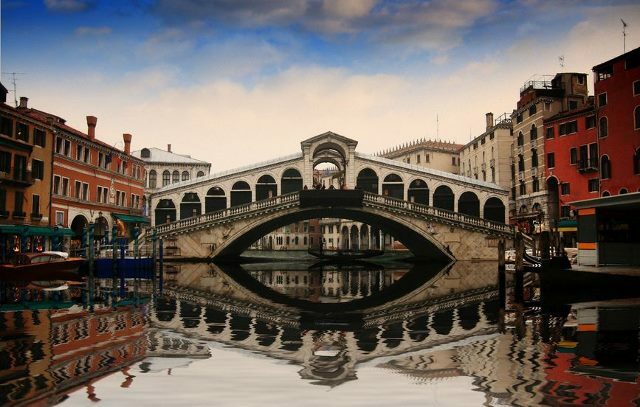 If you’re heading to the Grand Canal, take a slight detour and cross the Rialto Bridge, the main crossing over the water. Completed in 1591, the bridge houses many unique shops. Beware that the Bridge can get very crowded at midday. Make sure to stop by the adjacent Rialto Market, a food market that some say has been here for a millennium. It’s a great place for the freshest fish. While you probably won’t be firing up an oven in your hotel, check the salumeria and bread vendors to pick up items for an impromptu picnic. A stroll through the Jewish ghetto is poignant. It’s the first use of the term ghetto in the world to designate an area where members of a minority group were forced to live; it’s believed the term comes from an adjacent iron foundry. Several synagogues are still active in this disappearing piece of Venetian and world history. 15 churches have combined in a group called a “Chorus,” to allow visitors to view their buildings and artwork. Over 1,000 years of Venetian art history is represented including works by Tintoretto, Donatelli, Titian and more including the only Venetian painting by Rubens. Admission to each church is 3 euros per person, or you can buy a pass (valid for one year) to visit all 15 churches for only 10 euros per person. To see so much art it’s a bargain. 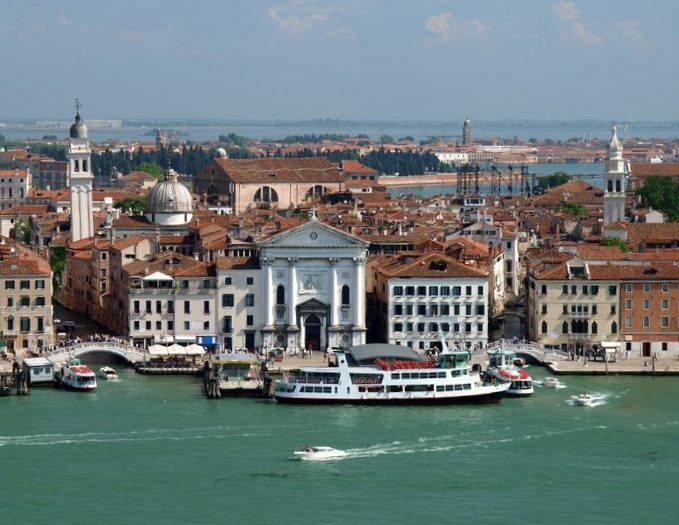 Take the vaporetto to the Church of San Giorgio Maggiore, perched on its own little island. While other visitors are queued up to ascend St. Mark’s, you can smugly skip the lines. Don’t let the 6 euro fee for the elevator ride put you off. You’ll want to view Venice from on high and this is one of the best places to do so. Just remember to cover your ears when the bells ring. As a town that lives for festivals, Venice offers many free events, including concerts, for locals and tourists. Many are offered during Culture Week (which is usually in April) but if you’re there during other times of the year look out for posters advertising free concerts, as many choirs and bands tend to play around the city for free on any given day. During Culture Week admission to almost all of the city’s museums and galleries is free, not just in Venice, but all around Italy, so it’s worth checking into this opportunity to view some of the world’s most beautiful artifacts and art. 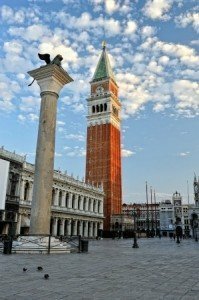 Whether you’re thinking of booking short breaks to Venice or a longer trip around Italy, there are ways to save money on your trip; avoid shopping at tourist traps, pick up a few items at a food market for a picnic lunch and put on your walking shoes to take the time to know Venice on your own terms. This post has been brought to you by Expedia UK.